Smithyholme Mill began life as a woollen mill. It is in Walsden, almost opposite to GAUXHOLME STONES and a short distance downhill from Lawhey Farm, sitting neatly between Rochdale Road and the river, on the bank of the canal. In about 1804, entrepreneur brothers Robert, Thomas and Samuel Law, the oldest three sons of Samuel and Sarah Law of SQUARE, took over the lease of the mill and turned it in to a cotton carding and spinning mill. Thomas Law lived at Henshaw Barn with his wife Alice (Jackson), but moved to Woodbottom during the summer of 1804. Thomas was the market man. He went on horseback to Manchester as often as necessary to arrange the best deals he could, buying raw cotton and selling the finished pieces. He was known as Tummy, and was a proficient trader. 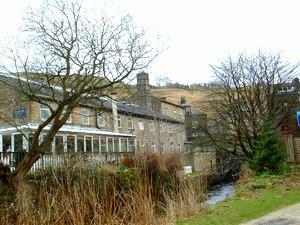 By 1814 the family was living at DEANROYD FARM in Walsden. 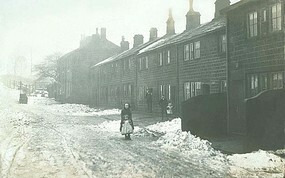 Samuel, the youngest brother, lived at SQUARE in Walsden with his wife Nancy (Ingham). He later moved to Lawhey Farm close to the mill. Samuel split his time between his farm and the mill. 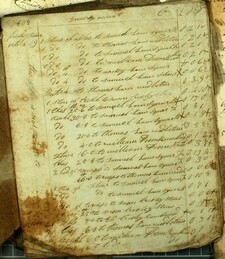 It is clear from the account book that he collected large amounts of warps and wefts from the mill, probably to disperse amongst his family and friends. 8lbs apples Ely Crossley Knowlwood 1s.1d. quarter stone of apples Mally Law Square 6d. 1 stone apples Samuel Law Square 2s.1d. 25lbs 6ozs cheese Samuel Law Square 13s. 6lbs 8ozs treacle Samuel Law Square 1s.9d. 2 stone flour Samuel Law Square 7s.1d. 1 stone apples Samuel Law jnr Square 2s.1d. 25lbs 8ozs cheese Samuel Law jnr Square 13s.4d. half a load turnips Samuel Law jnr Square 3s. 3 stone flour Samuel Law jnr Square 10s.8d. quarter stone of apples Samuel Law Stones 6d. 1 stone treacle Susan Crossley Stones 4s.10d. 1 stone turnips Susan Crossley Stones 6d. 25lbs cheese Susan Crossley Stones 13s.6d. 1 stone apples Thomas Law Woodbottom 2s.1d. 1 quarter butter Thomas Law Woodbottom 3s.9d. 21lbs treacle Thomas Law Woodbottom 5s.8d. 16lbs turnips Thomas Law Woodbottom 6d. 6lbs cheese Thomas Law Woodbottom 3s.1d. 1 stone apples William Dawson Knowlwood 2s.1d. 4lbs treacle William Dawson Knowlwood 1s.2d. 16lbs flour William Dawson Knowlwood 3s.7d. The mill would have required a handful of employees to scutch, card and spin the cotton, but the weaving was done outside by dozens of small farmers and their families and labourers. Weavers would visit the mill to collect warps and wefts to take to their own home. Together with their wives and children, they would weave as many pieces, or cuts, as they could. The finished pieces would be taken to the mill and the weavers would receive a payment depending on how many pieces they returned. They would then return home with more warps and wefts. JAMES LAW, a younger brother, was an overlooker at the mill, despite being a trained clogger. He also took warps and wefts home for his wife to weave. James stayed until 1819 when he left for a new pioneering life in Canada. The four brothers-in-law of Robert, Thomas and Samuel didn't escape. James Greenwood of Knowlwood, married to oldest sister Elizabeth; James Crossley of Bottomley, husband of sister Sally; Andrew Heyworth of Square, married to sister Mally; and William Dawson of Knowlwood, husband of youngest sister Hannah, were all involved in hand weaving using the warps and wefts from Smithyholme. Similarly, youngest brother Abraham Law, a clogger by trade, also did a bit of hand weaving at home. Samuel Law senior, father of the above siblings and also a clogger, played his part in the business by collecting large quantities of warps and wefts for distributing to hand weavers. It was truly a family concern. In one week in September 1816, 33 different people attended the mill to collect payment or more warps and wefts. Many of these attended more than once a week. Below is a table showing who attended and how much they collected and were paid. The warps and wefts were weighed in pounds and ounces. In 1819, the Fielden brothers of Waterside Mill bought the land on which the mill stood, together with some cottages and farmland, for £2,300. The Law brothers, who were experts in the spinning side of cotton manufacture, wanted to expand into the weaving side. To do this they needed larger premises and on 6th February 1820 they were celebrating the opening of their new purpose-built mill at RAMSDEN WOOD. The Fieldens enlarged Smithyholme for their own use, adding a steam engine and manager's house. The brothers equipped the mill for preparation of the raw cotton and throstle spinning for warps. All the warps were sent to their main mill at Waterside for weaving. In 1832, the mill had a value of £1,770 plus a further £1,335 for machinery. It had a small 4 horsepower water engine and a small steam engine. By 1856 the mill employed 14 children under the age of 13, 27 women and 9 men. They continued to use Smithyholme as an "out mill" until 1872 when the lease was sold. 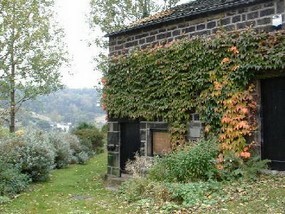 James Booth took on the lease, moving to Smithyholme from 11, York Place in Todmorden. He was a joiner and builder, employing 17 men in 1871. He converted the mill into a joiners and builders shop and saw mill when he removed from Dale Street to make way for the extensions to the Co-op store in Todmorden. When he died, the mill was left empty for a considerable time. After that time, the mill was occupied by a variety of tenants, and from time to time was left empty and dilapidated. It is currently in use as a Residential Care Home for the elderly. 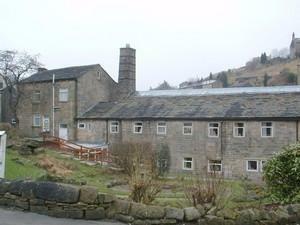 Smithyholme Woollen Mill, owner Richard Horsfall, occupier Richard Holt, supported bill for Rochdale Canal 1794. Owned and occupied by Fielden Bros. mill and power, Smithyholme, rateable value £107.14s.4d. 1866 – rateable value £79.6s.0d. Occupier James Booth, owner Joshua Fielden’s executors, mill and power, Smithyholme, rateable value £80.6s.0d. 1880 – rateable value £115.15s.0d. 1881 – rateable value £93.10s.0d. Occupier Thomas Stephenson, owner executors of Joshua Fielden; house, saw mill and power, rateable value £93.10s.0d. Dilapidated, owner executors of Joshua Fielden; house, saw mill and power. Mr. D. Scholfield, cotton warp bleacher and sizer, Smithyholme Bleach Works, Walsden. Premises on right bank of Rochdale Canal, large 2 floor building. Occupier Dan Scholfield, owner Joshua Fielden MP; bleaching works and power, Smithyholme, rateable value £41.5s.0d.